I must admit that I never paid much attention to Volkswagens other the looking for VW Bugs to play a game of “Punch Buggy.” In 2014, my perception changed when I took a trip to Virginia to drive their full lineup of vehicles. I left with a newfound respect for the Passat, Jetta, and Golf. I was especially impressed by the Golf. Not only did it have great styling, but it was also fast and easy to handle – features I love in a car. To showcase their vehicles to more people like me, Volkswagen has unveiled its enthusiast show fleet for 2016. The fleet is comprised of cars focusing on performance as well as pure style. 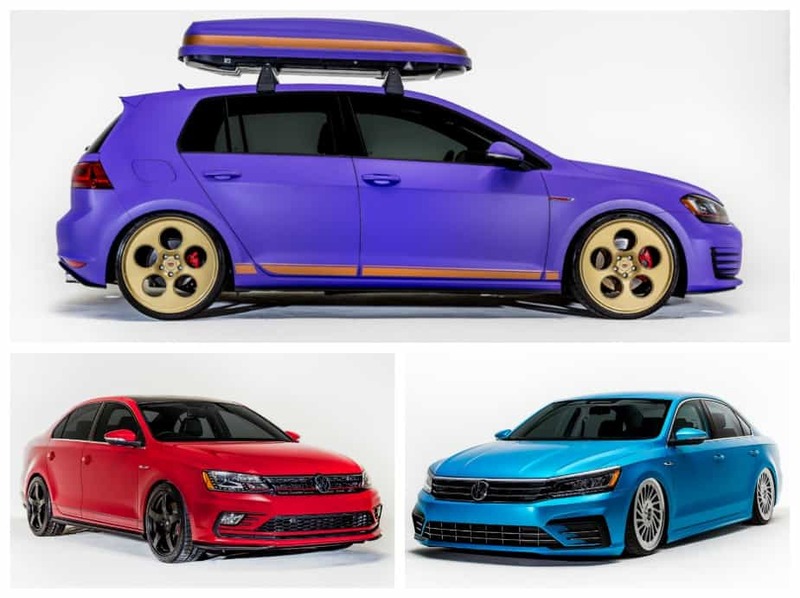 These vehicles not only reflect Volkswagen’s heritage, but they also embody a sleek, modern flair. This GLI is a car that’s comfortable on the street and the racetrack. 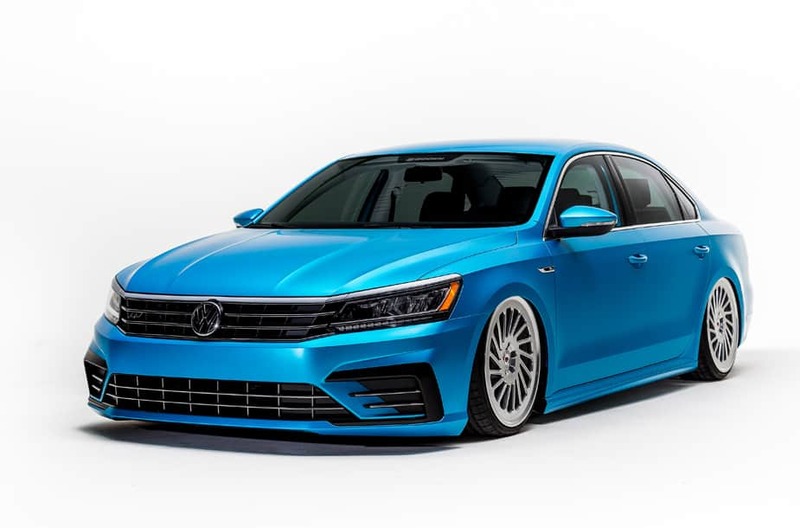 In its track configuration, the Jetta sports a set of BFGoodrich g-Force Rival tires on 18-inch Neuspeed RSe52 wheels mounted to H&R Street Performance coilovers for improved grip and handling. 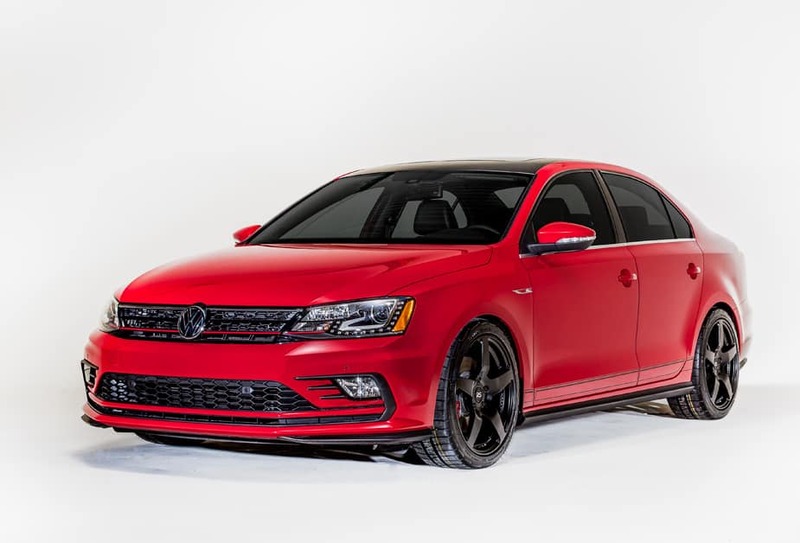 The bold black and red color scheme give the Jetta an aggressive look. The Golf GTI embodies the dual qualities of speed and style, mating a unique color scheme to this iconic hatchback. This GTI car is lowered with H&R Street Performance coilovers and rides on a set of 20-inch forged LC-103 gloss gold wheels from Vossen that carry Michelin Pilot Super Sport tires. The color of the wheels is carried through to the heritage stripe on the GTI’s doors which is mirrored again on the carrier box, proving that practicality, looks, and performance can exist simultaneously in the same vehicle. This custom Passat features an AccuAir E-Level TouchPad air management package installed by Boden Autohaus. The trunk is outfitted with custom wood flooring and houses the intricate air suspension system. The suspension’s lowest setting accentuates the lines of the new body styling, working in concert with the highlights of the Satin Ocean Shimmer wrap to provide a sleek look. The car rides on 20-inch forged LC-106T Vossen wheels with full polish and gloss clear. The wheels are fitted with Michelin Pilot Sport tires. The lineup will also include two more Golf show cars.